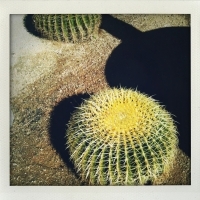 We both love the desert around Palm Springs, we got married there. Back around the time of the wedding we took a trip down to Salton Sea expecting not to find much after the stories of fish die offs and meth production. Perhaps I’d better rewind a bit for some context here. 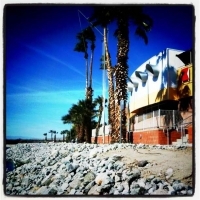 The Salton Sea used to be unambiguously awesome, the speedboat paradise of Sinatra and friends. 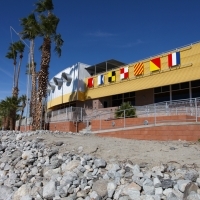 The shore was peppered with fantastic yacht clubs, bars and restaurants and was called Palm-Springs-By-The-Sea. 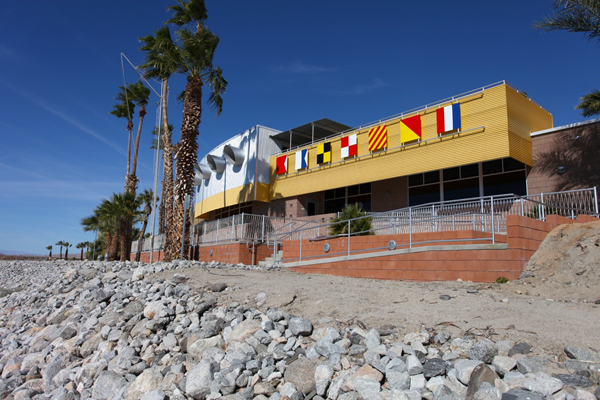 the North Shore Yacht Club was even designed by Albert Frey, one of our favorite architects. 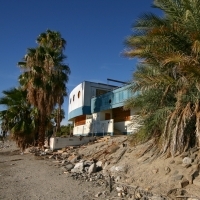 The “sea” was created in 1905 when a canal dike from the Colorado river broke and started flooding the formerly non lakeish Salton valley very quickly. Amazingly, it took 2 years to stop the flow of water and by the time they did there was a new lake that covered 375 sq miles, making it the largest lake in California. Unfortunately it didn’t have an outlet, so the water became increasingly saline. The last straw came in the 70s when a series of floods washed more and more agricultural runoff into the lake making it inhospitable to boats and fish. The glory days were over.